Back in August 2013, I mentioned in passing a book called The Triskele Trail. At the time, I was initiating my “Hidden Gems” rubric (expect a new entry in that series soon) with a look at The Charter, by Triskele author Gillian Hamer. I planned to get back to The Triskele Trail, which I enjoyed, in a later post, but life got in the way and I forgot. Just as well, as it turns out, because Triskele Books has just released a much expanded version of its “how we did it” guide, now called The Triskele Trail: 2014 Edition—A Pathway to Independent Publishing and endowed with a spiffy new cover (although the old cover was pretty good, too). Triskele is also hosting a giveaway of the book—for the link, see the bottom of this post. In the interests of full disclosure, I must mention here that although Five Directions Press, the writers’ cooperative/indie press of which I am a part, had nothing to do with the Triskele Trail project, we are featured in “How a Collective Works #2,” an updated version of the interview exchange previously published here and on the Triskele Books blog. So my present post makes no claims to being a dispassionate review. My intent is to get the word out, because this is a genuinely helpful guide to the basics of self-publishing and the benefits of working with a supportive group of fellow-writers rather than going it alone. 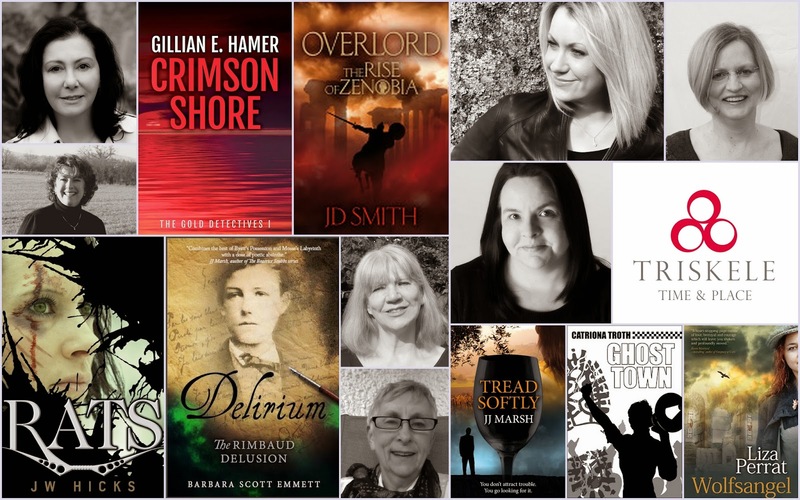 Triskele Books itself began as a group of five authors—Gillian Hamer, JJ Marsh, Liza Perrat, JD Smith, and Catriona Troth. The collective has grown since then, but these five remain the heart of the enterprise. In this they resemble Five Directions Press, which has published books by five separate authors (and hopes to add more) but is managed by the writers’ group that first came up with the idea. The Triskele Trail starts by describing the founding of the group and its philosophy. Like the cooperative, the guide is a collective enterprise, with the various members contributing chapters on the areas where they feel most competent to comment. The bulk of the book addresses basic questions that beginning authors need to know: Why publish independently? Whom to trust? How do other collectives operate? What do editors and proofreaders do, and how do you find one? What is an ISBN, and how do you get one? 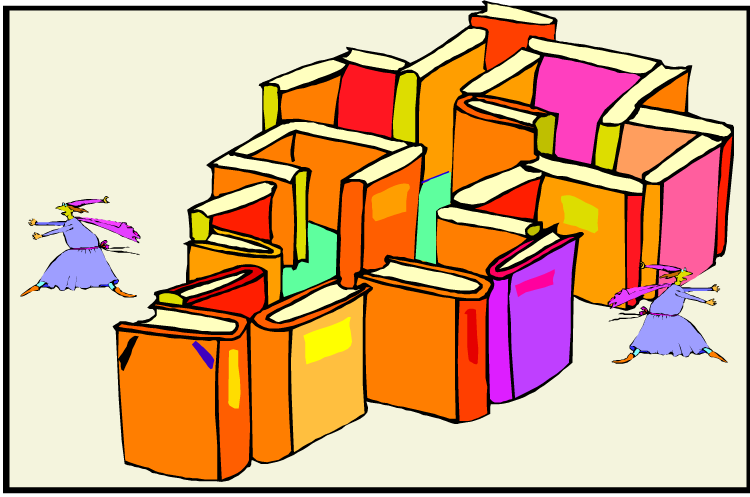 What do the various publishing acronyms—ARC, AI, barcode, blind folio, QRC, etc.—mean? When do you need an EIN (employee identification number), and for what purpose? How do you get anyone, anywhere, to notice and buy your book without driving your 300 Facebook friends stark, staring bonkers with your self-promotion? Good cover design and book formatting—what are the guiding principles, how do you implement them, and when should you hire a professional to do the job for you? Copyright: how do you assert your own and avoid infringing other people’s? All important questions, and the answers are delivered in clear, easy-to-follow prose, punctuated by interviews with other collectives as well as (developmental and copy, not publishing-house) editors and lists of useful resources. The authors make it clear from the beginning that these are not rules to follow so much as suggestions based on their own experience, what worked for them and what didn’t. Much of the advice focuses on the UK market, but even so, I learned a lot from this book—and I’ve spent the last twenty years in academic publishing, not to mention the last two accumulating my own list of triumphs and mistakes as my fellow-authors and I struggle to get Five Directions Press off the ground. Even if you decide not to self-publish, you will find much of value in The Triskele Trail. Today’s publishing environment assumes that authors will polish their manuscripts before submitting them to literary agents or publishers and will play a significant role in marketing and promoting their own work. And although in-house departments may handle editing, cover design, and sales, it never hurts to understand and appreciate what the professionals contribute. So if you’re writing the Great American (Canadian, British) novel, take a look at The Triskele Trail. And if you’ve wondered about self-publishing but worry about the amount of work required, consider a cooperative. You may be surprised to discover how much support is out there, and how much you can learn from authors who have traveled a little farther along the path. 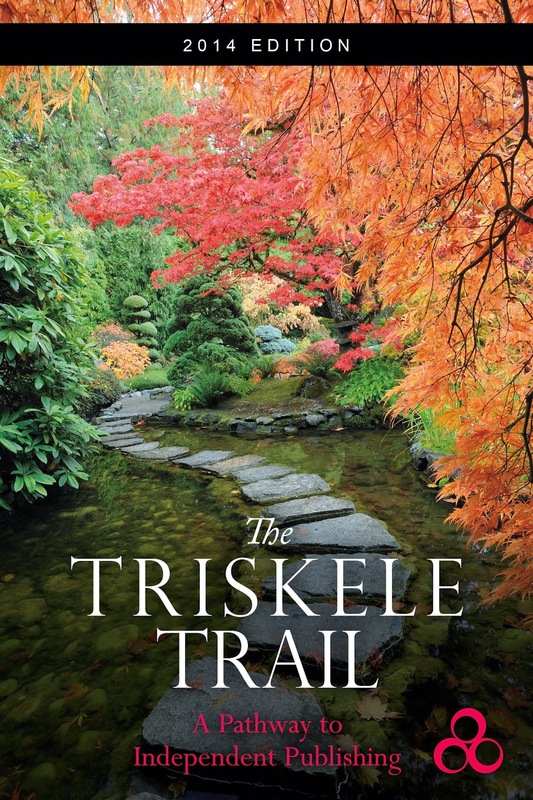 From Thursday, September 25, through Sunday, September 28, 2014, you can enter to win a free e-book copy of The Triskele Trail at the Triskele Books blog. You can enter through Facebook or by using your e-mail address. I have spent my entire adult life studying Russian history and culture, especially that of the sixteenth century. My main published nonfiction work is a translation of sixteenth-century Russia’s one domestic conduct (that is, how to run your household) book, known as Domostroi. Yet as I prepare to refocus my novelistic energy from the imaginary planet Tarkei and the very real world of ballet to my recently completed outline for The Swan Princess (Legends of the Five Directions 3: North), I find myself astonished to discover yet again how many basic questions of everyday life remain largely unaddressed in the historical literature. How would a self-educated young Tatar woman think about heart problems? How do they fit into the “four humors/three essences” theory of medicine characteristic of European and Islamic medicine at the time? What drugs or other remedies would be available? 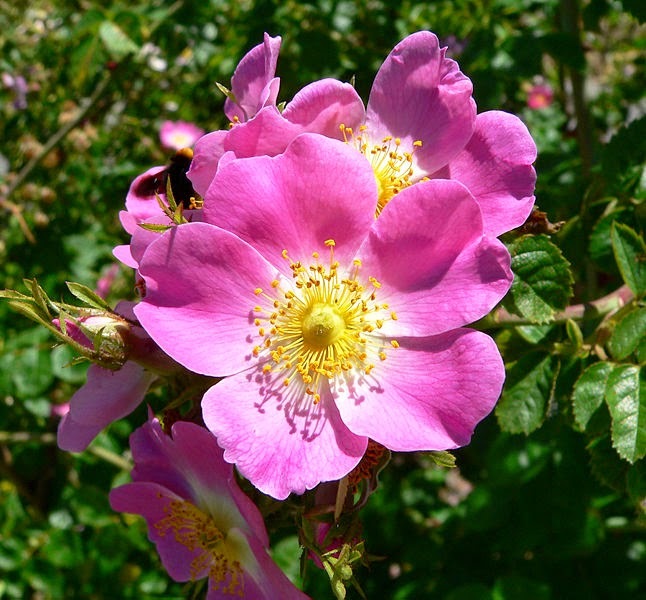 Which would be common knowledge and available from local healers? Which would be strange enough that they might cause conflict between Nasan and her patient? Would any of these treatments be effective? If so, how do they work, and what would my budding doctor see? Could a group of noblewomen accompanied by a suitable number of guards and servants expect to stay at the monastery that is their ultimate destination, or would they have to go to a convent? If they stay in a guesthouse, what would it look like? Could they attend services in the monastery chapel, or would they go to a church? Would they attend services at all, or just wait outside with the crowd for the monks to process by with the holy icons and bless them? If they do attend services, would the patient be permitted to sit on account of her social station and her illness, or would she have to stand like everyone else—at least until she keeled over and had to be carried out? If, as required by the mores of the time, the noblewomen travel with veils over their faces, under what circumstances would they remove the veils while on the monastery grounds? If they remain veiled, would other characteristics—their own or those of their retinue—reveal their identities to the antagonist waiting in the wings? And so it goes. Every tiny plot point (and this is just a rough outline!) reveals complex details that require elucidation. If the information does not exist, I can make it up; I’m working as a novelist here, not a historian. But ensuring that no one now knows the answers—that’s where the work comes in and where I inevitably make mistakes. I don’t mind the search. I am, after all, a historian first. I love to research. But oh, what I wouldn’t give for The Time Traveler’s Guide to Ivan the Terrible’s Russia or What Anastasia Ate and Elena Glinskaya Wore or some other quick and dirty guide to the nitty-gritty specifics of early modern Russian life. 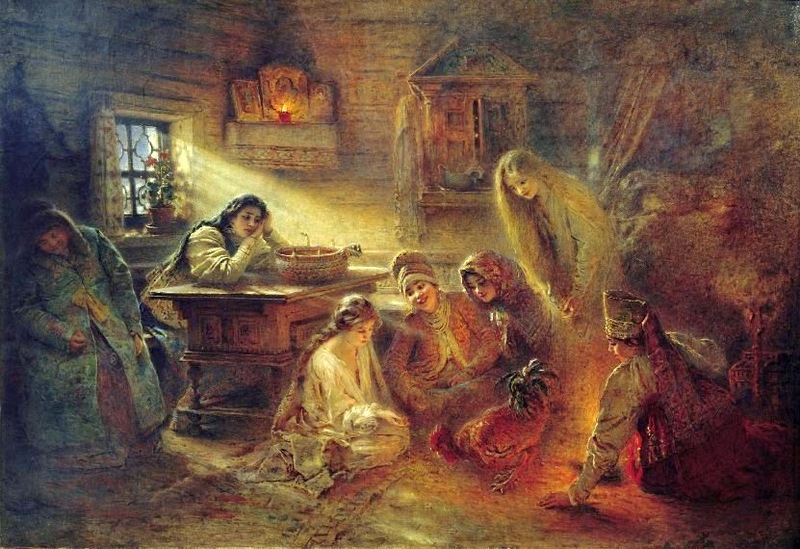 Image: Konstantin Makovsky, Fortune Telling (before 1915), via Wikimedia Commons. This picture is in the public domain in the United States because of its age. The girls are studying a rooster, whose choice of grains they believe has predictive significance—probably as effective as much medieval medicine. Among the often-overlooked and under-appreciated elements that go into preparing novels for publication are the people increasingly known as “beta readers” (after the “beta users” who form such an important part of testing software programs before release). Beta readers kick the tires of novels that have gone through numerous drafts and appear ready for release. Typically, they have not seen the book before; in this sense, they stand in for the readers who will approach the novel without prior preparation—unlike a writers’ group, which has had intense and direct contact with both book and author from the beginning. A good writers’ group can be invaluable, but eventually novels have to face the world without the benefit of prior acquaintance, and beta readers oversee an important transition point on that journey. For Desert Flower and Kingdom of the Shades, I especially needed good beta readers. I had begun the novels early in my fiction-writing life, while my sense of what constituted good writing remained somewhat hazy. And although I felt pretty comfortable that I recognized what needed fixing, I desperately wanted someone else to assure me that the revised books merited publication. I was lucky not only to find a good friend to bounce ideas off in the early stages but to find two great beta readers as well (in the interests of full disclosure, one of the two is a member of my writers’ group, but she had never seen these books before or discussed them with me and in fact learned of their existence about five minutes before they landed in her in box). Their comments were interesting, enlightening, and helpful, but the one that gives rise to today’s post is a question: how do I come up with names for characters and places in my stories? Good question. The true answer is, “It varies.” But the process offers some fun insights into how writers think, so I decided to share them. With the Legends of the Five Directions series, the answer is fairly simple. For the Russians, I look for names appropriate to the period with minimal alternate forms. Russians love nicknames, and most names have several variants that express closeness at a given moment—from full name and patronymic (formal, showing respect) to super-affectionate. In the sixteenth century, when my stories are set, there were also forms assigned to people with lower social standing, now called pejoratives and most often used among criminals. These are the forms assigned to my servant and soldier characters: Stenka is one example. I don’t follow every convention of the time: for example, women often used their husband’s name instead of their father’s, and family names were not yet set. Except when forced by circumstances such as baptism or monastic vows that necessitated a name change, I try to give each character one name appropriate to his or her station and stick to it throughout the series. Place names are not a problem because they are all historical, although the place associated with the name today, if it still exists, may bear little resemblance to its sixteenth-century self. With my Tatar characters, I initially botched it by pulling in every Tatar or Mongol name I could think of. After a while, I realized that “Tatar” was not one amorphous group but many subcultures, some of which had “dibs” on certain names (Girei—also anglicized as Giray or Girey—for example, was associated with the rulers of Crimea). These days I use a list, downloaded from the Internet, which tells me not only the names but where they originate. As much as possible, I favor names of Turkic or Persian origin, although there are lots of Muhammads and Ibrahims in Tatar history, too. Ideally, the name says something about the character: Bulat, for example, means “steel” in Tatar. Gulnara derives from gul—flower, especially a rose—more appropriate, perhaps, in that lady’s youth than when we meet her in middle age. Diliara has the connotation of sweetness, and Firuza means “turquoise,” a semiprecious gem traditionally perceived to have healing powers. All this sounds very rational and planned. But what happens when I try to change a character’s name? I’ve made such attempts on several occasions, for one reason or another. Nina Pennington, in The Not Exactly Scarlet Pimpernel, began life as Sara. But around the time I was ready to release the book, I ran into numerous heroines named Sara and decided to change mine. Sounds simple enough, but it took forever to find a name that suited the character as well. Eventually I settled on Ninel, shortened to Nina, and that stuck. Sort of—I still call her Sara if I don’t stop and remind myself otherwise. Girei, in The Golden Lynx, as well as his parents Bulat and Sumbeka were less successful examples. It turned out to be easier to manufacture a connection to Crimea than to find an alternate name for Girei. Nothing “felt” quite right, to me or my writers’ group. Bulat and Sumbeka worked well until I decided to set part of The Winged Horse in Kazan, which in 1534 contained a historical Bulat (Shirin) and Söyëmbike (the Tatar name Russianized as Sumbeka). Again I wrestled with alternatives before deciding that it was simpler to change the new characters’ names than the old ones’, not least because it avoided any overlaps between the historical originals and my inventions. So how do I come up with names? I research, in part, but mostly I seem to capture them out of the ether, settling only when I sense a fit between the name and a character’s personality. Not a satisfactory answer, perhaps, but a true one. When it feels right, I go with it. I just try to ensure that the results remain possible within that time and space. When the time and space are my own—as with the Tarkei Chronicles—then I let my imagination run free, pulling in every language where I have even a passing acquaintance as raw material and trying to ensure that the final choices don’t tip too far in one direction and sound like the places and people linked to them. For sounds themselves convey meaning, and like music one has to hear them in combination to know what feels right. Developing an ear for language is (or should be) part of a writer’s job—and a fun job it is. Downloaded from Wikimedia Commons, GNU Free Documentation License 1.2. As you know from reading these posts, I’ve spent the last five to six weeks overhauling Desert Flower and Kingdom of the Shades for publication in the KDP Select program run by Amazon.com. But because publishing with KDP Select governs only e-book sales—and because I love print books (for why, see “The Beauty of Books”)—I designed and typeset paperback versions of the books as well. It’s been an education, and I decided the main lesson might make a good subject for this week’s post. Normally, I prepare print editions first and deal with the e-books as close to the end of the process as possible. There’s a practical reason for working this way: good typesetting technique requires facing pages to match in length, and with the short paragraphs typical of dialogue-laden novels, getting that to happen often requires last-minute paragraph breaks or editing. E-books are more flexible in that regard. But this time, because my focus was on the e-books, I prepared the two editions side-by-side—and a rare pain it was, too, trying to ensure that not only did every change to the typesetting get echoed in the e-book file but that I introduced no typos in either while correcting each one separately. Throughout my two weeks of vacation, I went through the 155,000-word Tarkei Chronicles time after time: reading the PDF, proofing the e-book, entering new corrections, repeating the whole process until my brain was whirling like Sasha’s thirty-two fouettés. Even after the vacation ended, I read files in the evenings and entered corrections at the end of my workday. Altogether, I went through the two books six times each—and then went back to include the suggestions of my loyal beta readers and proofed them again. Surely, they were ready. I uploaded the .mobi files to Kindle Direct Publishing and the PDFs to CreateSpace, ordered proof copies of the print books, and sat back to wait. No errors, right? Hah. The print proofs arrived, and as soon as I opened the first one, I saw a pair of doubled words that had escaped me in the seven previous rounds. And then another pair, and another. The second book referred to itself instead of its partner in the “More by This Author” section, the result of injudicious copying and insufficient editing. And so it went. In the end, I sat down with a notepad and pen and read both books cover to cover, noting every single infelicity of phrasing, set of doubled words, unneeded adjective or adverb, and the like—all of which had eluded my careful attention on screen. The good news is that I found only one actual typographical error in 155,000 words. I had written “proceed” when I clearly meant “precede.” Other “must fix” items included a place where a character reported information she could have gathered only through a kind of spiritual osmosis, since she was unconscious at the time, and a couple of descriptions that didn’t quite line up. Everything else was stylistic, but man, was there a lot of it. I fixed everything I’d listed, doing my best to ensure that I didn’t miss anything and that the two files lined up, checked them both again in case I had introduced more errors, then sent in new PDFs and new Kindle versions. In the process, I came up with a better cover for Kingdom of the Shades—always a good thing. And as far as I know (but I have ordered a second set of proofs and plan to reread the e-books to be certain), the new, improved, spiffed-up versions are the final, final text. Meanwhile, I learned something. Order a print proof. Make sure it’s good to go before you worry about anything else. Because I guarantee there will be things you see in print that you will never see on the screen. And what will we do when print books really do go the way of the dinosaur? I suppose we’ll just live with the errors, not even recognizing they’re there. A daunting thought, that, for a lover of books.